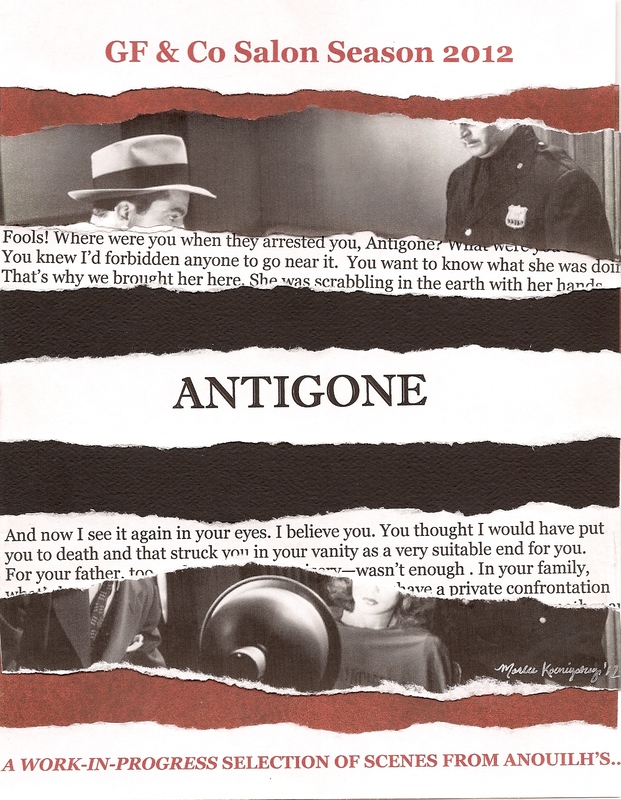 work-in-progress GREEK-NOIR presentation of scenes from Jean Anouilh’s ANTIGONE. 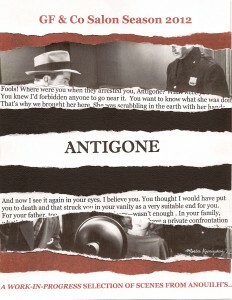 “Your Greek-Noir mash-up illuminated the text for me! This entry was posted on Tuesday, May 15th, 2012 at 8:25 pm	and is filed under Uncategorized. You can follow any responses to this entry through the RSS 2.0 feed. Both comments and pings are currently closed.